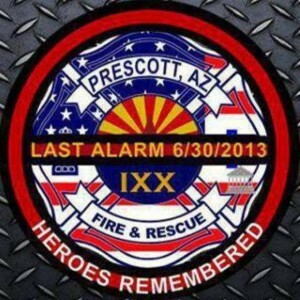 After 19 “Hot Shots” firefighters were killed in a wildfire over the summer in Arizona, an investigation was launched into the incident. The report concluded there was not enough evidence to establish negligence. The 19 deaths were ruled accidental, but the mother of one of the firefighters isn’t convinced. According to CBS News, Marcia McKee filed suit against those who were in charge of planning the operation. McKee says that the suit is her last resort to get answers from the authorities within the firefighting organization. She feels that there is more to the story that isn’t being released, which was a concern that rose during the investigation when investigators said that they couldn’t find much information about the operation at the time of the deaths. If you have lost a loved one, and you believe that their death resulted from the negligent actions of a person or an organization, it is important to contact a wrongful-death attorney. At Wolfson Law Firm, we have resources at our disposal that can be used to investigate the death and determine if there is enough evidence to proceed with a lawsuit. To discuss your case, Call Us At 305-285-1115 Today! The investigative report concluded that all of those involved followed all applicable guidelines, but some have asked why the Hot Shots were found 600 yards away from a designated safety zone. Multiple times, the report brings up the fact that, in their position outside of the safety zone, the fire was not survivable. McKee, however, is trying to find out if the tragedy was avoidable. Her lawsuit claims that the public entities in charge acted negligently by letting the Hot Shots move out of the safe zone and into a canyon. The suit also says that they failed to maintain lines of communication with the firefighters. Her concerns are echoed in the investigative report. The report is careful not to lay blame, but it does state that some of the radios were poorly programmed and needed repair after the incident. It also found that there were multiple changes in the command structure of the effort to fight the fire, which could have led to confusion. There were two air tankers that were in the area, but neither was in the air at the time. One was being repaired after an oil leak was discovered, but the other was in working condition and awaiting orders. No legal action can bring your loved one back, but a wrongful-death suit may be able to provide you some amount of closure to help you move forward in the grieving process. To set up a free consultation with an experienced attorney, Call Us At 305-285-1115 Today!